Nov. 28, 2017 11:30 a.m.
Northbound lanes have now reopened on Highway 5, but the road remains closed southbound between Merritt and Othello due to a vehicle fire and hazardous material spill. 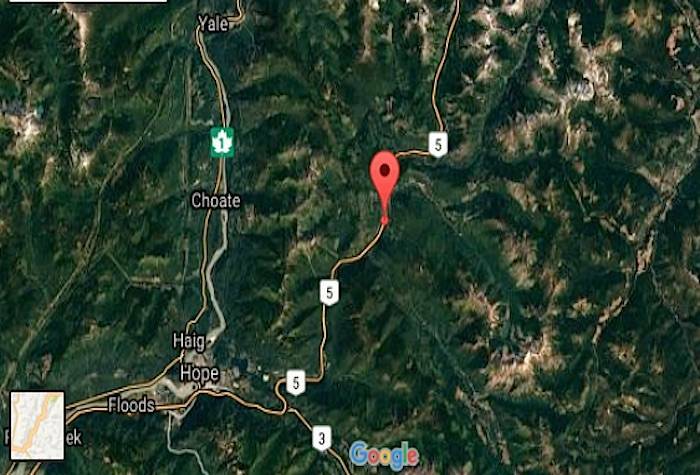 The Coquihalla Highway is closed in both directions due to a truck fire and chemical spill north of Hope. A tractor trailer was hauling Phenol Formaldehyde Resin, a corrosive liquid, when it began to leak roughly two km west of the Carolin Mines exit, according to the Ministry of Enviroment. The incident has closed the highway from Othello to Merritt and no detour is available at this time. 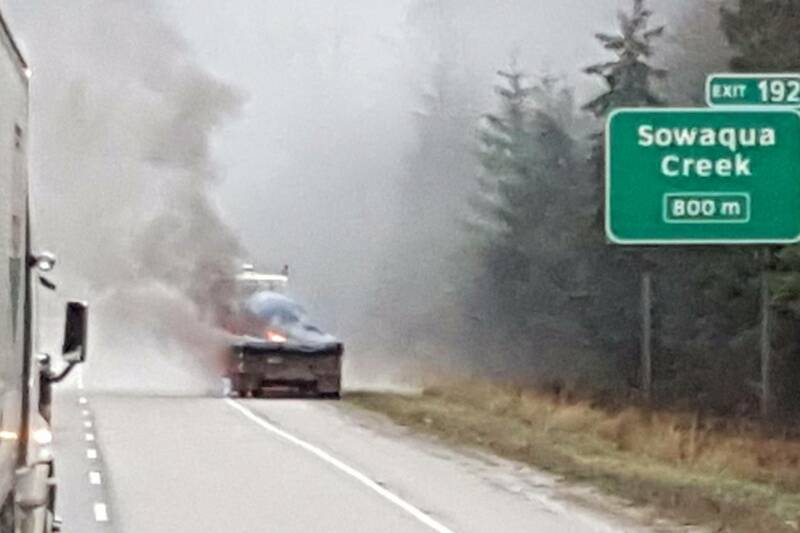 RCMP are on scene and have closed off an 800-metre exclusion zone to protect travellers from the fire that began between the tractor and it’s load. A spill response contractor has been deployed to the site.